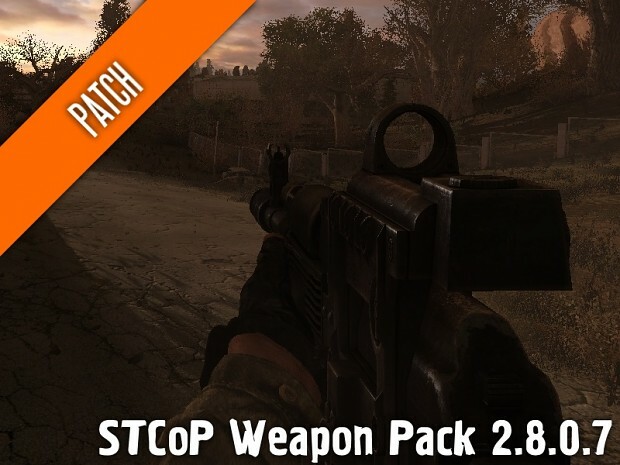 Patches STCoP Weapon Pack 2.8.0.7 addon for Call of Chernobyl 1.4.19-1.4.22. See the comments section below. If you have installed 1.4.19 then you can achieve the same result as this patch by simply deleting particles.xr in your gamedata folder. Particles.xr was changed in 1.4.19, which now includes those used by this addon built-in. However some people are prone to ignoring patch notes and descriptions so I'm re-releasing the new particles.xr file via a patch to help make sure that they notice and use it. If you've updated to 1.4.19 and are reading this then you should be safe just to delete particles.xr from your gamedata folder. You won't even need to install this. Ok, so if I have 1.4.22 for example, I don't even need to install this? I need to delete particles.xr? The wording is a bit confusing. thrown in outfit mod. Start-main menu *klicks new game* crash-put in the doctorx mods-starts-main menue + create new game-loading screen,done + crash. I fixed it. I dont know why but i did another complete reinstall of CoC and BEFORE i started any game i modded + deleted the Particles data. Patching was my Exodus but it worked now so...if anyone else is having the same problem,try a complete new install. It doesn't make the slightest bit of sense to me, either. All I know is, when I followed Darryl's advice and removed particles.xr from gamedata, it insta-screwed my install and caused the game to crash on save file load without an error log. So... yeah. Great advice there. I even covered my bases by just removing the file, rather than deleting it. Stil, replacing the file after the crashes hit didn't fix the problem. Out of curiosity, AFAIK these packs are mostly ported from CoP weapon packs, but are weapon packs still in development by (somebody?) as much as they were when these weapons came out? will we see more packs? I don't know if it's just a patch or new content, but we'll have to wait and see. Arsenal Overhaul was archived about a year ago, so it looks to be in hiatus until Enigma returns to work on it should he decide to. Original Weapon Renewal is the work of r_populik. I don't think he likes to openly announce anything until it's almost finished. Is it safe to use STCoP v5 + itemsoup for 1.4.16 on this patch as well? I don't want to mess up my ongoing ironman game. See my first comment. You won't even need to install this on 1.4.16. Yeah, sorry. i worded it wrong. I meant to ask if it's safe to install 1.4.19 patch with STCoP+Itemsoup for 1.4.16? I already know i have to delete particles.xr (from patch notes), i'm just not sure if the patch changes something that would mess up this particular addon combo. You should be good. Item soup only really has to be updated if anything clashes with vanilla or weapon addon files. Owl was changed slightly in 1.4.19, but that file is replaced by STCoP anyway. I haven't had the opportunity to try the latest update for STCoP, but I started up a quick game with the one that was compatible for ver. 1.4.16, and the guns ARE extremely inaccurate. 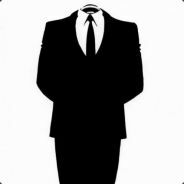 I posititioned myself from one enemy at a distance from 6-8 m. and I did not move, and it took 8-10 shots to be fired at me before one finally struck. Was the accuracy of the weapons increased some with this latest update to ver. 1.4.19...? Fire dispersion (bullet spread) was decreased by 25% for all weapons in STCoP v4. Thing is, i have no trouble hitting enemies with STCoP guns at long ranges, its just enemies that shoot like they were dropouts from the "Empire's marksmanship school for stormtroopers". I had enemies miss a whole clip fired at me at pretty much point blank. I don't think this is a weapons inaccuracy issue since i wouldn't be able to hit anything as well. That should be fixed in next update. For some stupid reason the "hit_probability_max_dist" value was set insanely low. After changing this back to normal NPCs have become of a lot more accurate. Automatic Galil, a crosshair icon is wrong. Scope crosshair is fixed in next patch. What happened to the Kimber Warrior and Vintorez with a NV scope? Kimber re-added and fixed up in V6. Was the NVGs an upgrade or a variant of the Vintorez? Hi, will you update STCoP to version 2.9.0.1? Working on it for the last few weeks along with implementing the new loadouts and traders systems. Great mod and my personal favourite for CoC. There is one thing which nags me, though. Some of the scopes red dots (c-More etc.) and green dots (EKP ?) have weird graphics when mounted on certain guns. Especially the red dot sights, when mounted on the G3 rifle look crappy (on the Scar, they look normal) ;) Same with the soviet green dot sights, which resemble a square instead of a dot. Other than that I love STCoP! Fixing the shapes isn't something I can do. Their self-illumination is fixed in the next update though. And, to add animation MP5 tactical (partial) recharge. The rest of your weapon has 2 types of recharge: When the cage is still there when their cartridges and completely not. MP5 has only one animation (full charge). I don't know how to animate nor would I be any good at if it I did. If an animation doesn't already exist there's not much I can do about it. Dear Darryl. Correct, please, missing rifle grenades from the grenade launcher When you put on / take off sight. Respawning with Azazel mode, you don't get a knife in your inventory. installed this weapon mod on top of CoC, right after i start the game its "out of range"
Any suggestions? Mabye can someone give me a hand with this? somehow i managed to play with this, but there is a lot crashes. I installed the mod correctly with JSGME along with Outfit Addon, Coc Fast Travel, DRX Dynamic Factions, Smurth Dynamc HUD and Consumable Overhaul. The error came up after about 10 hours. Anyone knows a way to fix this? As an optional, could we have the old pump-action animations back? In a previous version the player would pump the shotgun while still keeping it aimed. That way ROF and semi-auto upgrades still worked and it looks more like they know what they're doing. An optional with 55 FOV for ironsights would be really nice as well since it allows you to have a broader FOV normally and still aim accurately long-distance. Hey peeps im having only one issue with this Weapons pack the Rg 6 has an issue when used it places the weapon almost at the very top of the screen and when aimed in it will not sight in anyone else had this problem and been able to fix it?? I'm using CoC 1.4.22 along with STCoP in order to use this patch as it should i just need to delete particles.xr and done? Does this patch fix the enemy accuracy or do I have to edit some values? I can't see the red dot on sights like EO-Tech, Reflex and more. Now I've tried the standard MP5 and there's a red mid sight, but it's too small or disappear when you come in to the shadow :-( Only AC10632 and ACOG works normally. STCoP Weapon Pack 2.8.0.7 (v.5 to v.5.1) (Patch) has not been tagged yet.